Any business can be attacked, and attacks are on the rise. New rules on data security will help businesses protect themselves, but what are they and why should your business care? Data breaches and cyber-attacks dominated the headlines in 2017. The escalating number and nature of the attacks had a massive impact on a diverse range of businesses, including Equifax, which exposed the data of 143 million customers in the US and 400,000 in the UK. The taxi app Uber also had the data of 57 million global customers and 2.7 million UK customers exposed, with the company paying $100,000 directly to hackers to delete the information and keep the breach quiet. The different breaches highlighted exactly how any business can be at risk of cyber-attack, as well as how hackers are able to find weaknesses in your security systems. For example, both Maersk and Rosnoft suffered a data breach through a piece of malware distributed through their accounting software MeDoc. By sending an email with an attachment, Leicester City Council also exposed the information of vulnerable people to 27 different travel companies, proving how cyber-attacks can come from anywhere. When it comes to data security, it’s not just larger companies and organisations that are at risk. In fact, smaller organisations have a greater risk of cyber-attack. Smaller companies are particularly targeted because they usually have weaker security and are more susceptible to insider attacks and mishandling of data, including lost devices, having no malware protection and relying on simple and easy-to-guess passwords. Some companies may ignore the threat of cyber-attacks, claiming that they don’t have the resources, budget or time to allocate on security; or even think that they data won’t be of interest to hackers. No matter what your business does, all your data and information are important and valuable assets that need protecting. 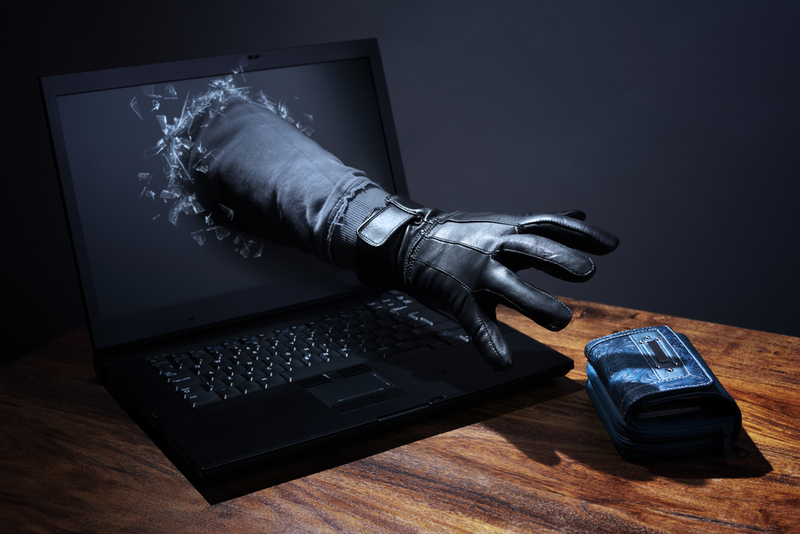 Around 5.4 million SMEs are hit by cybercrime each year – costing the economy £5.20bn-a-year, according to the Federation of Small Business (FSB). Small businesses are not only more at risk, but also face major impacts and costs, with Price Waterhouse Coopers’ suggestion that the worst security breaches can cost anywhere between £65,000-£115,000. To protect against future attacks, new EU legislative framework is changing to the General Data Protection Regulation (GDPR). But what is it, and how does this impact your cyber security? GDPR is designed to give control over their personal data back to citizens and residents. Incorporating more severe consequences than existing data protection laws, GDPR aims to strengthen data protection against cyber-attacks. Here’s 5 ways that GDPR will impact your cyber security. GDPR will affect any business that holds any personal data from EU citizens – changing the way that data is managed. Fundamentally, GDPR will change the way that this data is managed, giving users complete control. This allows them to decide how much of their data they want to share and how they want it to be used. As well as controlling how much data is shared, users will also have the right to delete their data at any time, completely removing themselves from your systems. Under GDPR, companies will need to report any security violations within 72 hours. Enforced by the Information Commissioner’s Office (ICO), any company that violates GDPR or suffers a data breach will be liable for costly fines of up to €20m or four per cent of global turnover, whichever is greater. With a large database of workers ready to find their right role, data protection is one of our top priorities at QS recruitment. You can trust us to handle your data with you in mind, by working with Air IT and using technologically-advanced hardware and software. We ensure that we have all of the relevant GDPR policies in place and a board level commitment, underpinned by a robust and secure system, so you can rest assured that your data is protected. Anyone can be attacked. That’s why it’s important to ensure that your company keeps confidentiality using the best protection available for your system. AT QS, we don’t just protect your data, we want to help you protect yours. Our IT partner, AIR-IT, offer valuable and impartial advice, and, to ensure your security, are offering a free consultation to any of our clients. For added peace of mind, take control of your cyber security by taking advantage of this free consultation. Book now.